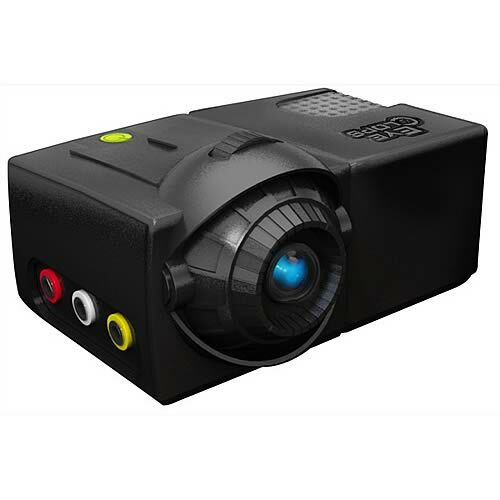 Sometimes great things do come in small sizes, as can be seen with this amazing Eyeclops Mini Projector that weighs less than 1 pound, but delivers great projection on a wall of your choice. The Eyeclops Mini Projector is a miniature projector that is compact enough to be taken anywhere easily. It is small enough to fit in the palm of your hand, yet can prject up to 70 icnhes with a 320 x 240 resolution, which is great for having gaming or movies with you at all times. Moreover, the LCOS Technology grants 8 lumens and 10,000 hours of power for the projection, and can last 10_ hours on D Batteries or powered unlimitedly with the included DC Adapter. It would be wonderful to have a projector at all times for gaming, DVD’s, our iPod Touch or even to connect a digital camera to watch the photographs you shot during your travels. You can have you own Eyeclops Mini Projector for just $130.99, which is both affordable and practical.